Anita Yap is the founding partner of the MultiCultural Collaborative. A partnership of professionals of color providing consulting services for equity, inclusion and diversity services for non-profits and governments. Her team focuses on authentic community engagement with culturally specific communities, urban design, equity policy, facilitation, strategic planning and organizational development. She is also a water quality manager for the state of Oregon. 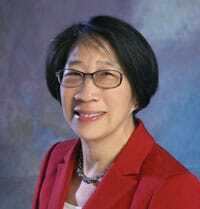 Anita is an active community member, volunteering with the Asian Pacific American Network of Oregon (APANO), the Jade International District and past Board of Governors for the City Club of Portland, Resource Council for Colored Pencils Art and Culture Council and several other non-profit boards. Anita was appointed by Mayor Sam Adams as co-chair for the Arts Access and Education Fund for the City of Portland. Anita worked with public art projects in Bend Oregon and with Lane Transit District in Eugene. In addition, she worked with east Portland communities to create a needs assessment for a Multicultural Arts Center and engaged with the arts community in the city of Damascus to envision a mixed-use arts focused development. Anita grew up with a family of artists; her mother is a master Hawaiian quilter and weaver, her father, mother, husband and daughters are musicians. She practices music, photography and healing arts. Anita and her husband have four adult children, live in a small house in southeast Portland and have an organic garden and raise honeybees.